With the Yankees leading 3-1 and the bases loaded yesterday afternoon Joe Girardi called on Mariano Rivera to get the final out of the eighth inning. An unusually difficult spot for a closer to be sure, but not an unusually difficult spot for the best closer of all time. Rivera had gotten more than three outs for a save 144 times between the regular season and postseason in his career. By comparison, the Twins' leader is Rick Aguilera with 57 and Joe Nathan has 11. It wasn't quite just another day at the office for Rivera, because he strolled in from the bullpen tied for the all-time record with 51 consecutive saves converted at home dating back to 2007. Oh, and the Yankees had also beaten the Twins in 12 straight games. So, naturally he handed out his first bases-loaded walk since 2005 and then served up his first grand slam since 2002, as Jim Thome's patience and Jason Kubel's power turned a 3-1 deficit into a 6-3 lead. Including the regular season and playoffs, Ron Gardenhire has 738 wins and 620 losses since replacing Tom Kelly as Twins manager in 2002. That works out to a .543 winning percentage, which is the equivalent of going 88-74 in a 162-game season. During that nine-year span the Twins have a winning record against 10 of the 13 other teams in the AL and are 92-52 against NL teams in interleague play. And they're now 17-52 against the Yankees. Along with wins, losses, and winning percentage the above table has a "1YR" column showing the Twins' record against each opponent prorated to one 162-game season. For instance, the 36-18 record versus the Rays is equivalent to going 108-54 in one full season, while the 92-52 record in interleague play is equivalent to 104-58. Not surprisingly they've also dominated the Royals, with a .619 winning percentage that's akin to 100-62. 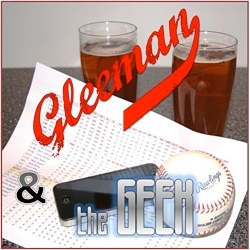 In fact, if you remove the Yankees from the equation the Twins are 721-568 under Gardenhire for a .559 winning percentage, which is like a 91-71 record over a 162-game season. They're below .500 against just two non-Yankee teams, going the equivalent of 75-87 versus the Blue Jays and 68-94 versus the Angels. And versus the Yankees? They'd be 40-122, which happens to match the fewest wins ever for an actual team (the Mets in 1962) in a 162-game season. All of which is a very long way of saying that, even after yesterday's much-needed victory, the Twins' ineptitude against New York is startling. I'm not sure how to explain it because I'm not sure there is an explanation, although certainly many factors have played a part. Chief among them is that the Yankees have simply been better than the Twins (and just about every other team in baseball) during Gardenhire's tenure, winning an average of 98 games per season. Of course, based strictly on the Yankees' superior teams you might expect the Twins to have a similar record against them as their 33-46 mark against the Angels, but 17-52 is clearly a long way from 33-46. One factor that makes the matchup more lopsided than the strength of the overall teams would suggest is that the Twins' pitching staffs have been filled with fly-balling control artists who're particularly susceptible to power-laden lineups like New York's. Another factor is that Gardenhire seems to over-manage against the Yankees, making tactical decisions he'd otherwise not bother with in a "normal" setting. Making more matchup-based, mid-inning pitching changes rather than trusting his typical bullpen usage and calling for more bunts and steals despite playing for one run being an especially poor strategy against a lineup that powerful are two examples. And last but not least, simple bad luck has also been a factor. 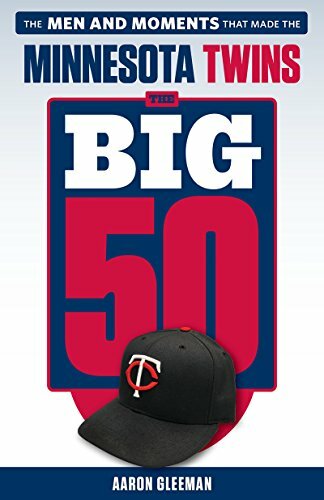 Whether yesterday's dramatic victory can help reverse the Twins' nearly decade-long struggles against the Yankees obviously remains to be seen, but for now at least 17-52 feels a whole lot better than 16-52 and they'll get another crack at New York when Rivera and company come to Target Field for the first time next week. In the meantime, Yankees-related teeth gnashing aside the Twins have MLB's fourth-best record at 23-14 and lead the AL Central by 1.5 games. I think you’ve commented on it before, but since you brought it up today could you please analyze the comparison between Gardy vs. the Yankees and TK vs. the Yankees? Despite the Twins being really bad for most of the 90’s I think I remember the Twins dueling roughly .500 vs the Yankees in that time period. 1) It is just a bad pitching matchup. Yankees generally have power hitters, many of them aging. They have guys that like to load up and take big rips and have keen eyes at the plate. Our soft tossing control artists are better suited to deal with young free swingers than consumate pros. We’d be better off with semi erratic flame throwing types of pitchers. 2) Generally young players that just clam up in the big situations. This goes for pitching and hitting. Our bullpen seems to really struggle against them. Gardy’s managerial moves can’t be attributed to more than a game or two really, assuming they are bad moves in the first place. And we’ve played enough games against them to where you have a hard time calling it luck. Or you can take the simple approach and say that they just have our number. It’s pretty simple, really. The Yankees are afraid of the Twins, so they’ve gone out of their way to collect Twins killers. Roger Clemens, Mike Mussina, A-Rod, Mark Teixeira. Even Marcus Thames has hit more HRs against the Twins than any other team. All of these guys owned the Twins before the Yankees acquired them. I find it interesting that the Red Sox and Yankees have been pretty even in their success against the rest of the MLB during Gardenhire’s tenure, but the Sox have a losing record against the Twins and the Yankees have dominated the Twins. So it can’t simply be that the Yankees are so good. They’re no better than the Red Sox. It’s also hard to explain it simply with players being intimidated, because the Twins have had high turnover under Gardy. The best explanation is bullpen match ups. The Yankees hitters have had better success against Twins bullpen arms than other hitters in the league. 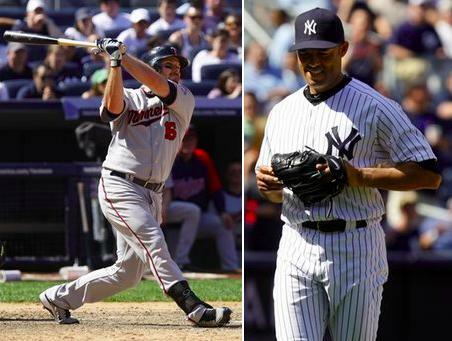 Meanwhile, Twins hitters have never hit Yankee bullpen arms well at all (Sunday not withstanding). If you look at the game logs, the majority of those games were close late, but the Yankees put runs on the board against the Twins bullpen and the Twins failed to reciprocate. Part of the problem is the underlying assumption that the Twins’ overall record under Gardy (.543) is a good indicator of their true ability. As your table clearly shows, the Twins have dominated interleague play against the inferior NL (.639). And they’ve dominated their own division, the inferior AL Central (.569). But against the AL East and AL West they have a losing record (.494). In reality the Twins have been basically a .500 team benefitting from a really easy schedule. In the regular season since taking over from Tom Kelly, Ron Gardenhire is 15-43 (.259) overall against the Yankees, 11-18 (.379) at the Metrodome and a dismal 4-25 (.138) in New York. During his tenure as Twins manager, Tom Kelly had an overall record of 74-86 (.463) against the Yankees, 40-42 at home (.488) and a very respectable 34-44 on the road (.436). Kelly had a winning record against the Yankees in New York over his last three seasons (7-6) and only in 1994 did the Twins fail to win a game in the Bronx under Kelly (they were 0-and-3 that year). Part of the problem is the underlying assumption that the Twins’ overall record against the AL East and AL West (.494) is a good indicator of their true ability. As your table clearly shows, the Twins have dominated interleague play against the inferior NL (.639). And they’ve dominated their own division, the inferior AL Central (.569). But against all non-Yankees teams they have a winning record (.559). In reality the Twins have been basically a .559 team suffering from an inability to beat the Yankees. The Yankee and Twin teams during Kelly’s tenure are completely interchangeable with those of Gardenhire’s era. @? – of course they’re not, and partly because we were clearly the better franchise during the late ’80s – early ’90s. But keep in mind that Kelly was still managing during the peak of the Yankee turn-of-the-century juggernaut, and still managed to do alright (certainly better than Gardy) during that period, even though the Twins of that same era were pretty awful generally. Anyway, the comparison of Twins win% against various teams is illustrative. The flip side is illustrative, as well, and I think shows one of the factors Gleeman’s come up with might be somewhat dubious. Not only have the Twins fared poorly against NY at an anomalous rate compared to how they play against other teams the last decade, but the Yankees have also had more success against the Twins, BY FAR, than against any AL team not from Kansas City. (I ran some numbers on this a few years ago after we dropped our last 3 at the old Yankee Stadium, so the statement would seem out of date, except we’re 1-12 against NYY since then, so it’s not like our position relative to others could have improved). Tampa, Detroit, Cleveland, Texas – all markedly worse over the full course of the last decade than the Twins, despite recent success for two of them – have massively outplayed us against the Yankees. Granted, it’s interdivision for Tampa, but still, they were pathetic the first half of the Gardy Era. Our pinpoint control, flyball pitchers should fare no worse against the Yankees than staffs made up of a couple legit guys and 3 marginal major league starters, and yet they have. The rest of the league plays about .400 against them. Even with talent disparities and relative strength/weakness matchup issues greater than ours, the worst teams play around .350. I’m sure style of play and roster makeup are slight factors for the Twins, but I have to think it’s more a mental issue than anything else. It’s just too numerically abnormal. Although those mental blocks may have started with the poor record of success of one particular flyball pitcher, Santana. He seemed to press against the Yankees, thinking (rightly, oftentimes) he needed to keep them to 2 runs or less to win. The offense then pressed when he gave up a couple longballs, which seemed like every time he faced NY. Begin downward spiral, compound with lack of confidence in every other pitcher we send to the mound after the Yankees wait out Santana, leading to woeful batting, lather, rinse, repeat for about 6 years. Cure = Jason Kubel/Jon Rauch? All that great hitting and fielding the Twins have just got put to the reality test. All those on this site that over rate this rah rah blah blah, are now beginning to see the truth at the end of the tunnel: Twins one and done in the playoffs. A much better allocation of resources ALWAYS for the Twins would be to skimp on the position player money to get one or two aces. It’s got to be rough living in Detroit knowing you have a much better chance of getting by the Yankees in the playoffs than the Twins do.